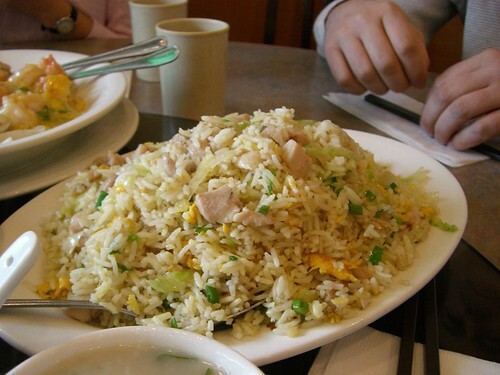 Salty fish fried rice, originally uploaded by dwuatsfu. So you just ordered 3 dishes of meat and need some grains in your mouth to help absorb the sodium, but don’t want that plain sissy white rice. Waddaya do? Order protein laden fried rice of course. This one’s filled with diced chicken and fermented/preserved/cured/salted fish. Very tasty. 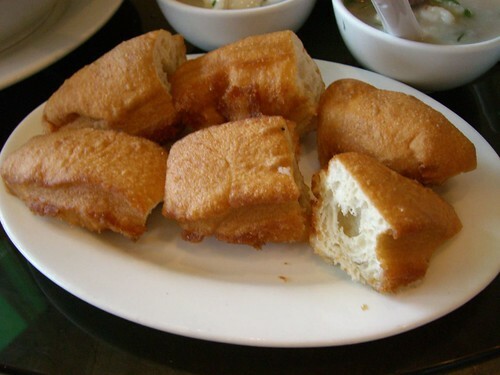 Chinese donuts, originally uploaded by dwuatsfu. Crispy and sweet. Dip it in congee for a chewy treat. 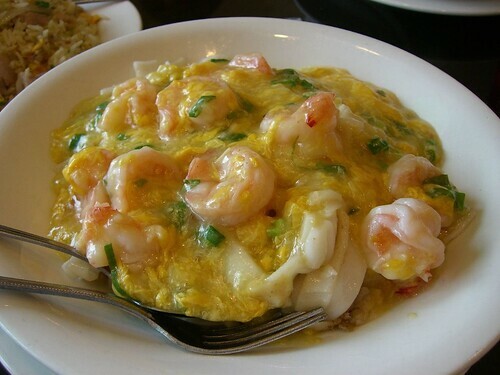 Shrimp with rice noodles, originally uploaded by dwuatsfu.